Queensland has the toughest laws relating to feral animals in Australia, despite the State having a deer on its Coat of Arms (maybe we should start a petition about that?). Ferret and rabbit fanciers migrating to the Sunshine State have been sadly disappointed that their hobby is strictly outlawed. The Queensland Ferret Welfare Society, not surprisingly, has very little to do. They can't spend their weekends ferreting, showing or fancying ferrets - all they can do is write letters about their plight. One recently wrote to me about his inability to keep a ferret in Queensland. His email and my reply below illustrate a few of the issues at hand. and the many preditors, not mention the fact that this state has a non preditory creature that will kill a curiuos ferret. I have also noticed that the NZ governmet has failed to mention that the animals in that country have been crossed with Polecats to make them more tolerant to there climate, were the ferrets in Australia have not been crossed. So to best my knowledge there has never been an out break of feral ferrets in Australia in the past two-hundred years, and I have never heard of a ferret giving any human a desise of any kind in this period. I'm hoping that you can see your way to possibly help us with our plite to get our furry friends made leagal or at best with a premit to house them as pets. Our organisation has not taken a view on the availability (or otherwise) of ferrets as pests in Queensland. We did provide a submission to the import risk assessment for new ferrets a few years ago and advised they not be allowed into Australia. Our view was based on Dr Bomford’s risk assessments that ferrets do pose a threat, so we felt that additional genetic material could increase the chance of wild ferret populations establishing. There seems to be some doubt about the nature of ferrets in New Zealand. Like you, I was under the impression that New Zealand’s feral ferrets tended toward the polecat end of the spectrum, and this might explain why ferrets have become a widespread feral in New Zealand but not Australia. However, our Program Leader for Detection and Prevention studies, Dr Elaine Murphy, who is based in Christchurch, is of the view that New Zealand feral ferrets are actually quite placid. When caught, they apparently become quite tame quickly in a laboratory and they tend to only exist where there is plenty of food for them (remembering NZ also has stoats and weasels competing in the environment). 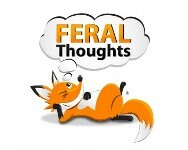 I am very cautious about pets that can become feral. Australia’s wild dog population now consists of animals that are 25% larger than they were 30 years ago, due to domestic dog hybridisation. Almost all feral fish populations established since WWII have come from home aquaria. Any changes in Queensland’s laws are for the Queensland Government to decide and I believe the responsible authority would be Biosecurity Queensland.